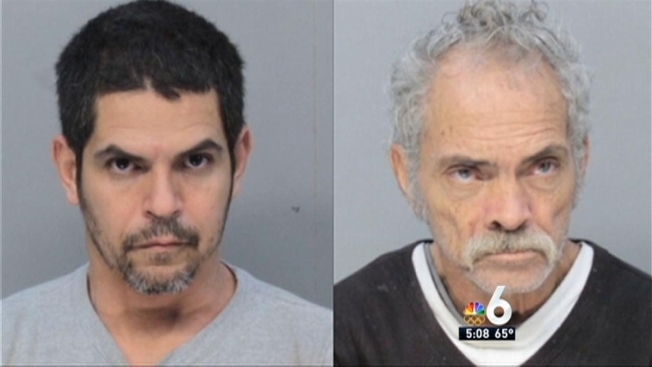 Eloy Torres and Israel Torres were arrested for stealing lobsters, many of which were undersized. Two Miami men were detained by the Florida Fish and Wildlife Conservation Commssion after officials say they were stealing lobsters from commercial traps. FWC officers said they found Eloy Torres, 62, and Israel Torres, 42, floating in a small boat without lights. Onboard, the men had a large plastic tub containing 119 lobsters that had been stolen from traps, 107 of which were undersized, according to the FWC. Officials said not only was there theft involved, but the taking of the undersized lobsters disturbs the reproduction of lobsters in Biscayne Bay. 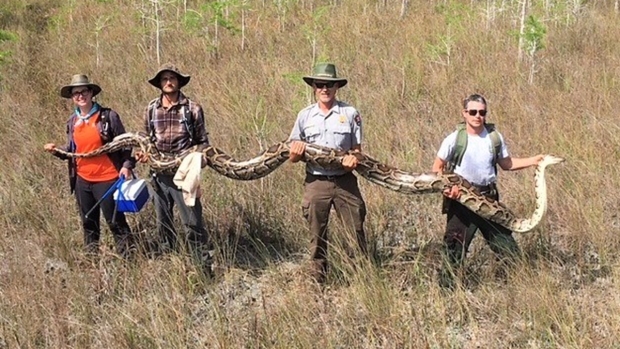 "It bothers me personally to see this," said FWC spokesman Jorge Pino. Court records show both men have several prior arrests, including charges of illegal lobster possession, burglary, cocaine possession, grand theft auto and motor boat violations. "They are compulsvie resource violators, that's what they do," Pino said. "They like to go out and steal people's lobsters." They are each being held on $8,000 bond.